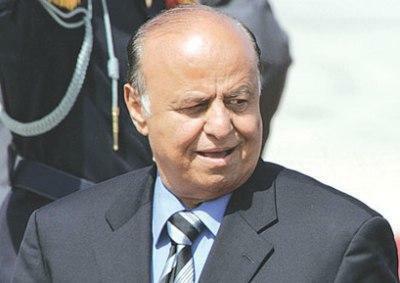 Almotamar.net - The Yemeni Vice President Abid Rabu Mansour Hadi has said that investigations were continuing in the case of the parcel bombs, affirming they were an extension of the terrorist act which started with fighting tourists and oil companies, in addition to other groups fighting security stability in the country in general. Tourism in Yemen was affected much as well as the Free Zone in Aden due to terror acts , in addition to the economic aspect especially investment and oil area. The Vice President Hadi added that Yemen works with all means to overcome this crisis through cooperation with the international community and neighbourly Arab countries. It is an excellent cooperation for combating terror and it seems that two parcels were actually transferred from Yemen , as were discovered in Dubai and Britain, but there are parcels transported from other countries other than Yemen. In an interview to the Lebanese Middle East newspaper lately, Hadi emphasized that Yemen suffers from the unemployment problem of which he said it is for Yemen more dangerous than al-Qaeda. The Vice President ha called on the international community and the Arab countries, particularly the Gulf States, to invest in Yemen and establish projects this large labour and build strategic projects. “We shall not be able to solve this plans we put, especially under growth of population in Yemen. Each year there are 600 thousand pupils enroll in the primary school education and that forms a huge burden, “the Vice President said.